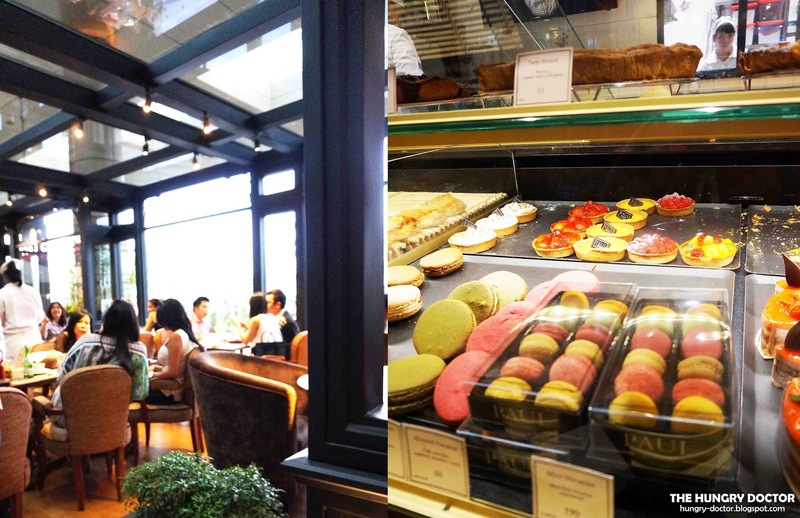 PAUL Bakery and Patisserie is NOW in JAKARTA !! PAUL Bakery and Patisserie is not a new name for culinary lovers, because they're one of the most well-known bakery in the world. well, I'm gonna tell you a little about their history. Paul Bakery and Patisserie is founded by Charlemagne Mayot in 1889, the first store is in Croix, South France. Because of their scrumptious bakery they're became very famous in France and has many branch, until in 1985 they opened their first store outside France, in Barcelona a lovely city in Spain. 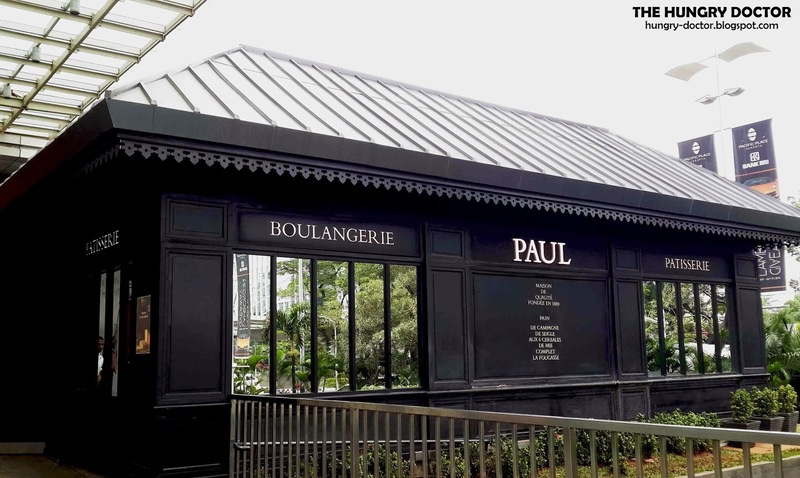 Until now, Paul Bakery and Patisserie has already had over 400 stores around the world and now they've expanded to JAKARTA !! 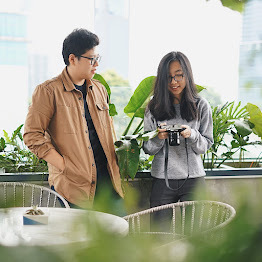 Their good name brings them in top now, as we can see not just a french cuisine lovers, all of the food lovers in Jakarta are so excited with this store ! They just opened in December 2013 and the response from Jakarta's people are so postive, the waiting list proved that ;) They always full. 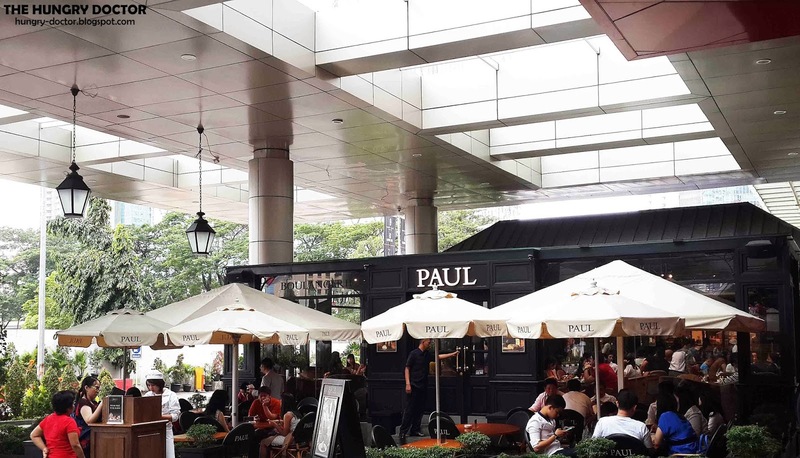 Located outside of Galeries Lafayette in Pacific Place Mall, made Paul Bakery and Patisserie is easy to find, because it's one of the busiest area in Jakarta, so they're in a strategic spot. They're located opposite of Odyssea (one of famous food place too). Paul Bakery and Patisserie will give you a French Classic dining experience, well this food place was separated into 2 parts. The outside part is for take-away customer and the inside one is for dine-in. Black colour is dominating this bakery, and gives an elegance touch, you can see the fresh bakery and patisserie here, so you can smell the aroma of baking process hmmm. Really nice ambience even it's inside or outside, feels like little Paris. From Nos Sandwich category you can claim Ham & Cheese Croissant as the winner ! Yes, you have to try this menu whenever you came to PAUL. Their sandwich was so populer, but this one is the best. The croissant was filled with Turkey ham and emental cheese, taste so f*cking great ! I really love savory pastry with melted cheese and ham, they're perfectly served with green salad, tomato cherry and a lil' bit sour dressing, all the sandwich here is served warm I think, maybe it's look like overcooked from the cheese outside, but it will gives you an amazing sensation. 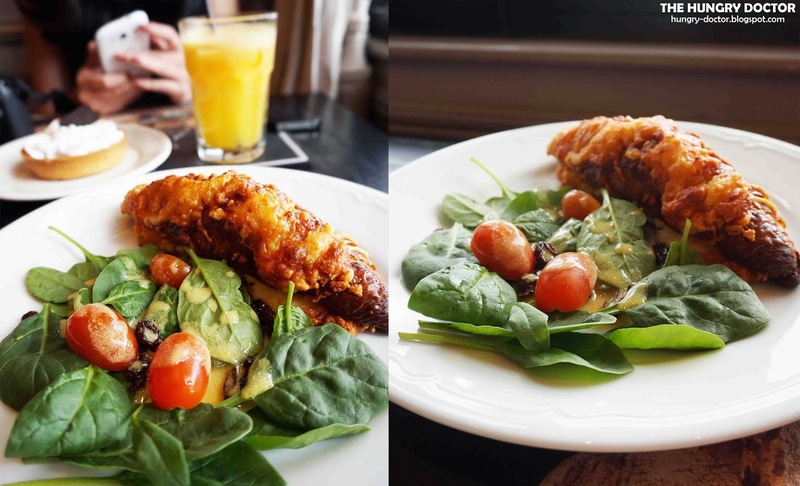 Crunchy outside and soggy inside. Seriously, they're really great ! Another PAUL Bakery and Patisserie's best seller, yep Tartelette. Baked dish consisting of a filling over a pastry base with an open top, they're usually filled with custard and fruits, but here they make it more simple, lemon tartelette combined with meringuée, the lemon tartelette was so sour but you'll get a sweet punch from the meringuée, so it's kinda sweet and sour addiction in your mouth, once you try it you'll never want to stop eating this outstanding dish !! Even the sour taste of the lemon tartelette makes me crazy, the meringue gives you a sweet escape ;) délicieux !! For the drink hmm I would say they're expensive, because you won't get any satisfaction when you order this juice, to much water in the juice, it's tasteless even after the liquid-sugar added. Why I choose juice? Because it's almost the same they charged between tea and juice and they said the juice are fresh. Yeaa, maybe it's fresh but the quantity of water and the fruits is not balance. Just order tea next time. Overall, they're good, from the ambience and of course their dish but personally I like the savory one the most ! The price tag is not include 10% tax and 5% service, so it's quite expensive and the service really need improvement, maybe they're lack of staffs because they're still new. They are open from 10.00-22.00 everyday. So if you want to enjoy an classic french style bakery and patisserie, PAUL Bakery and Patisserie will be on your first list.